Muldoon Farmers Market Organizing Meeting 7:30 p.m. Wednesday, May 27, at Wayland Baptist University, 7801 East 32nd Avenue, Anchorage. Access via Old Muldoon Road off 36th Avenue, west of Muldoon Road. Open to the public. We plan to meet weekly until the market opens. Note 7:30 start allows time for 6:30 presentation on Glenn-Muldoon Interchange at Bartlett High School Yellow Cafeteria. 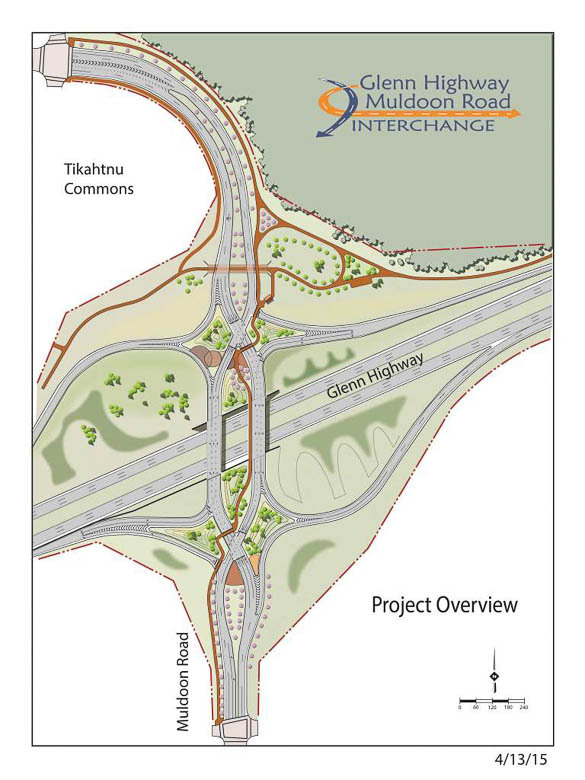 Glenn Highway Muldoon Road Interchange Public Meeting 6-8 p.m. Wednesday, May 27, 2015, presentation at 6:30 p.m., in the Yellow Cafeteria at Bartlett High School, 1101 North Muldoon Road. Go to www.glennmuldoon.com to “drive” through the new interchange via animation video. Come, learn about Diverging Diamond Interchange design plans for vehicles, bicycles, pedestrians and share your opinions and concerns with DOT&PF.